William Oughtred was a clergyman and self-taught mathematician. He introduced the familiar multiplication × sign and invented the slide-rule. The slide-rule produced an upsurge in calculation speeds and boosted the rate of progress in the physical sciences and engineering that began in the 1600s. 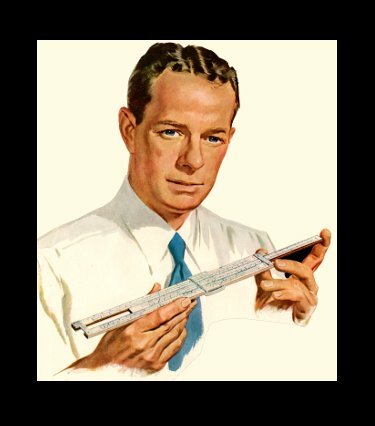 Invented the linear slide rule, resulting in an explosion in calculation speeds, facilitating rapid advances in sciences such as physics and astronomy. The slide rule was a highly durable invention. Slide rules were used by mathematicians, scientists, and engineers for over three centuries until they were finally replaced by electronic pocket calculators. Wrote the highly influential mathematics textbook Clavis Mathematicae, in which he introduced the familiar signs for multiplication and proportion: × and ∷. William Oughtred was baptized in the small English town of Eton on March 5, 1574. His birthday was probably at most a few days earlier. His father was The Reverend Benjamin Oughtred, a teacher at Eton College. William was educated at Eton College until, age 17, he proceeded to the University of Cambridge’s King’s College. He graduated, age 22, with a Bachelor of Arts degree in 1596. He then studied for a Master’s degree, graduating in 1600. At Cambridge he spent most of his time studying mathematics privately, often working through the night to satisfy his passion for the subject. In 1603, Oughtred took holy orders in the Anglican Church and began working as a vicar in the small town of Shalford, about 25 miles (40 km) from his hometown. In 1610, age 36, he became Rector of Albury, a small town close to Shalford, a position he would occupy until his death 50 years later. Oughtred never lost his interest in mathematics. He continued working privately and tutoring young people free of charge who hoped to go to university. A number of his students had very eminent careers, such as John Wallis, mathematician; Seth Ward, astronomer, Christopher Wren, architect, and Richard Delamaine, mathematician. In 1614, John Napier published his invention of logarithms. Logarithms allowed multiplications to be performed as additions and divisions as subtractions, and so provided a remarkable acceleration in calculation speeds. The calculation process required the use of conversion tables, converting from real numbers to logarithms and back again. In 1620, Edmund Gunter replaced the tables of logarithms with a long ruler on which the logarithms were marked. Numbers could be multiplied by measuring distances with a pair of dividers. It worked, but was rather inconvenient. 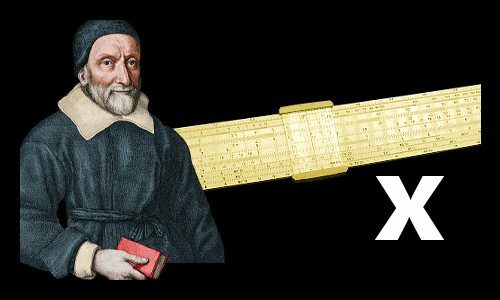 In about 1622, Oughtred invented the slide rule as a fast calculation device. He took two of Gunter’s logarithmic lines and mounted them so they could slide past one another to perform calculations quickly and conveniently. Slide rules were used to perform calculations by mathematicians, scientists, and engineers for over 300 years until electronic pocket calculators began replacing them in the 1970s. Slide rule in the 1950s. Oughtred also claimed he invented a circular slide rule in the 1620s. However, one of his students, Richard Delamaine, published the concept first, in 1630. This led to angry exchanges between Oughtred and Delamaine, with each claiming to be the true inventor. It is probable that they invented the circular device independently and incorrectly thought the worst of their former ally. In 1831, Oughtred published Clavis Mathematicae a textbook for aspiring mathematicians. In it he introduced the multiplication sign × and the proportional sign ∷. He published further mathematical works: in 1632, Circles of Proportion; in 1647, Key of the Mathematicks, and in 1657, Trigonometry. In Circles of Proportion he is among the first mathematicians to use abbreviations for the trigonometric functions. He used: s = sine, t = tangent, se = secant, s co = cosine, t co = cotangent, se co = cosecant, log = logarithm. He also used the now familiar abbreviations: sin = sine, tan = tangent, sec = secant. In February 1606, age 31, Oughtred married Christ’sgift Caryll. They had twelve children. Two of his sons, Benjamin and John, became watchmakers, following somewhat in their father’s footsteps – Oughtred invented the double horizontal sundial. As a student, Oughtred learned to do his mathematics while others slept. This continued to be his practice when he was a clergyman. Sometimes he stayed up all night working on mathematics problems. William Oughtred died age 86 on June 30, 1660. He was buried in Old St Peter & St Paul’s Church, Albury. "William Oughtred." Famous Scientists. famousscientists.org. 4 Apr. 2018. Web.